The water in your spa is circulated very quickly; air is also introduced regularly and, together with the build up of body oils, foam can be created on the waters surface. While this will cause little harm it's not attractive and needs to be removed. No Foam is specially designed to remove this unsightly foam, and if you use it on a weekly basis, this will ensure that foam is not a problem. 1. 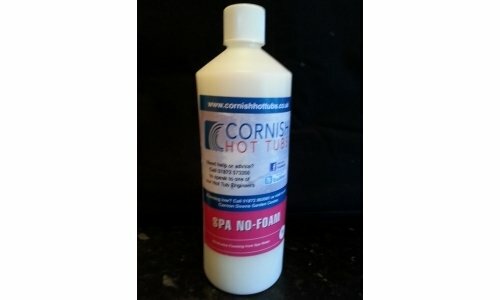 Apply directly to your spa water whilst the spa pump is turned on to aid distribution.